Apple Computer had just been established, the Concorde made its first commercial flight, and Star Wars began filming. And, while not as fun, something big was happening at travel agencies. American Airlines had just rolled out an online booking terminal for travel agents. It changed the industry. Travel agents’ share of bookings shot from 40% to over 80% in just years, and set the groundwork for air travel to join the digital age in 1995. Air freight, an enormous industry, has embraced automation…but not completely. And nowhere is that more striking than capacity management and booking, with an offline loop that typically adds a full day to urgent air freight shipments. But that’s changing. Today, Lufthansa Cargo, together with Freightos WebCargo unveiled instant air cargo ebooking for 1,000+ forwarders, a huge leap forward into the digital era. Through an API services and the Freightos WebCargo air freight pricing and management platform, over 1,000 forwarders can now look up contracted rates, assess capacity, and book cargo in real-time. This provides Lufthansa access to 1,000,000 monthly searches, ushering in newfound sales and operations efficiency. Forwarder or carrier? Time to come online. Lufthansa Air Cargo’s game-changing move to digital connectivity started with a a pilot in the first week of June. Initial rollouts commenced quickly before scaling up now to a broader European rollout. So I went to Freightos WebCargo’s CEO, Manel Galindo, to hear his insights on how Freightos helped Lufthansa Cargo digitize. Help us put this announcement in context; why is Lufthansa selling freight online so important for the air freight industry? This is a huge milestone for Lufthansa in general and for the air freight industry specifically. Today the process for booking air freight is complex, with forwarders manually researching rates across multiple platforms. With this launch, forwarders can easily price and book capacity on one platform. Everything is completely automated, from initial pricing to final booking. Most importantly, Lufthansa can now offer thousands of forwarders dynamic pricing, giving them an incredible competitive advantage. This is exactly why the B2B online automation is so incredible; with a flick of a switch, companies globally can work more efficiently and Lufthansa can easily sell more. Can you briefly explain Freightos WebCargo’s role in this digital transformation? Freightos WebCargo guided and facilitated this process. Our subject matter experts have their finger on the pulse and understand the pain points that forwarders, carriers and shippers face. No less important, they have the technical expertise to address them. This combination of technical skill and industry knowledge positioned the Freightos WebCargo team to provide Lufthansa Air Cargo what they needed to achieve a successful, swift rollout. The speed of the ebooking adoption is telling of how thirsty the industry is for this type of online platform. When do you feel Lufthansa started to see value from the program? I’d say immediately. The corporate headquarter level is onboard with digitization. In the field, the teams see the value from clients constantly submitting queries requesting better pricing. Lufthansa now has a direct line of communication with clients. The forwarders appreciate the ease and convenience of using one system. Time is of the essence; our joint system delivers. What was the most challenging aspect of the pilot? Onboarding the forwarders is by far the most labor-intensive aspect. We needed to introduce a new system to 19,000 users to ensure ebooking success. We’ve conducted on-site tutorials for 600 attendees and online courses for remote teams. 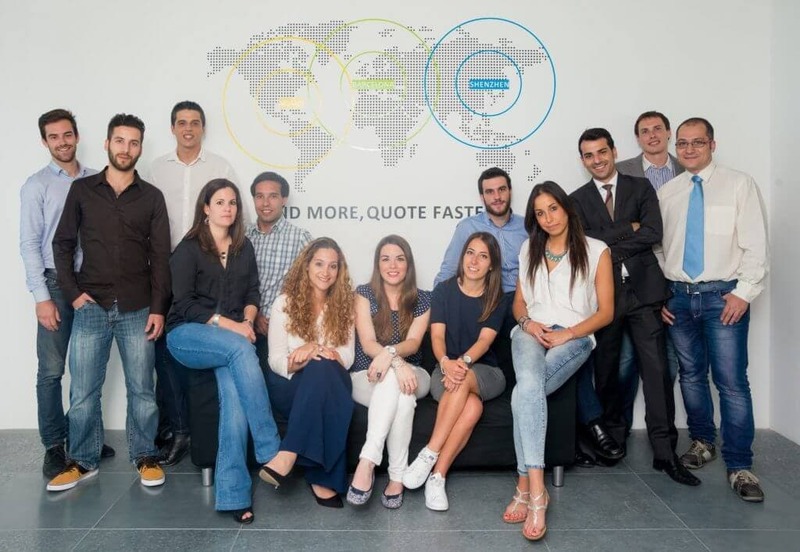 It was hard but gratifying – forwarders are thrilled to move online. What advice do you have to other carriers contemplating digitization? Most carriers we talk to are nervous to connect because they don’t think they are ready – their prices aren’t dynamic, their booking system isn’t as strong as they’d like it to be and so on. This fear is debilitating. My advice? Make the move and make it as fast as possible. 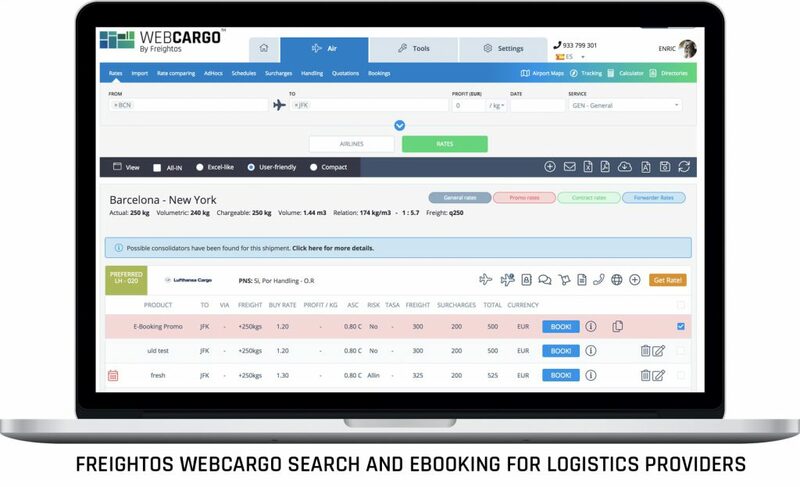 Working with a partner like Freightos WebCargo is the fastest most efficient way to get online and start building a digital infrastructure. The only way meet market needs is deliver on client expectations. Forwarder? Carrier? See exactly how eBookings can take days off your air freight shipments!